– yet they always seem to get too ripe before we can eat them all. – if we don’t eat the banana’s – Mom will make banana bread! and they LOVE my banana bread! 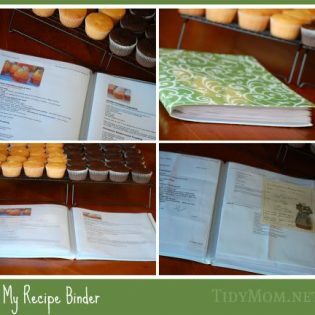 You can tell a favorite recipe by how often it is used, and this recipe is one I return to again and again, and is the one recipe I’m asked for more than anything I’ve made! Cream together sugar and butter, add eggs one at a time. Mix in milk, bananas and vanilla. Stir in dry ingredients. The important thing is you do not want to over mix the batter. You don’t want it smooth. Over mixing the batter will give you tough, rubbery bread. Looks like a great recipe! You are all over the place girl… (published wise) way to go! 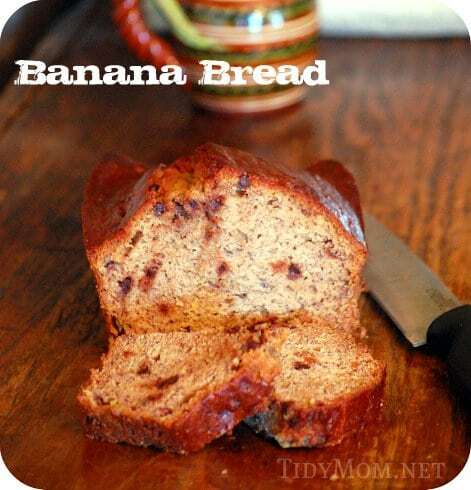 we love banana bread too! 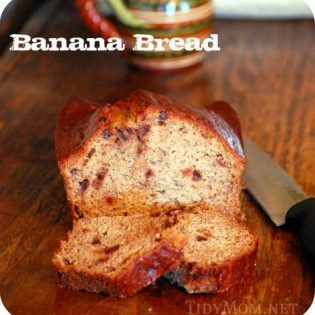 I freeze our too-ripe bananas too….but I just put them in skins and all…when you go to make the bread…just take them out of the freezer a few minutes earlier….and they slide right out of the skin and mash up perfectly!!!! …although they don't look pretty…dark brown skins and all…but taste the same!!!! I actually made banana bread last night! I so wish I would've thought to add chocolate chips to them! Love banana bread. I have some bananas that need to be cooked. Thanks, I will use your recipe. Thanks for the recipe and linking to TMTT. Congrats on the feature! I love that camera strap if The Husband didn't use the camera too I'd try to whip one up! Your bread recipe looks amazing. I love cinnamon and chocolate chip idea, I've never tried them together and it sounds delish! Thanks so much. I tried it and it is great! Thanks for sharing. I could eat this entire loaf myself! !